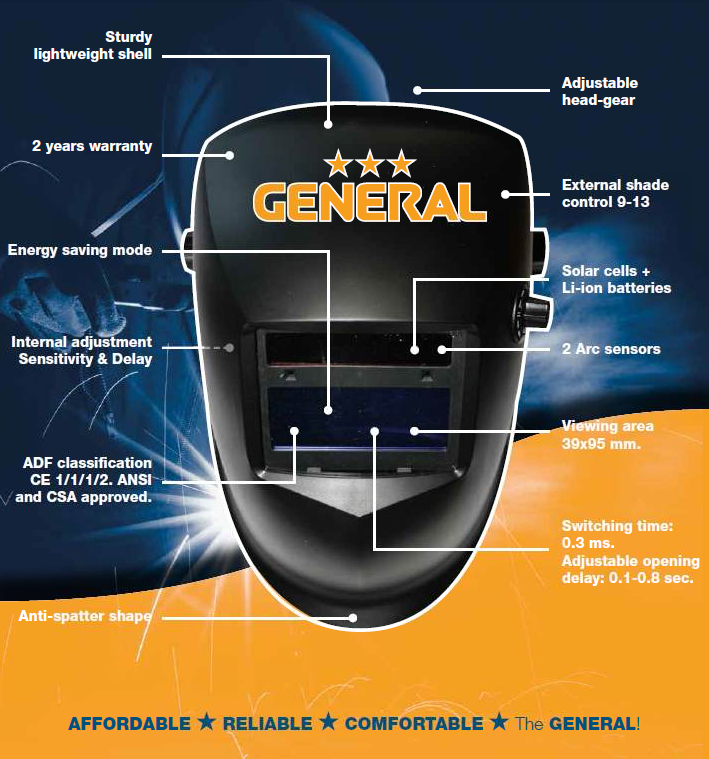 De Vlamboog Safety & Welding is introducing a new value-for-money welding helmet line by the brand name GENERAL. 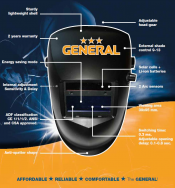 The basic GENERAL welding helmet will surprise resellers and end-users thanks to its extremely economic price-quality ratio and its high performance for an all-round basic welding helmet. De Vlamboog is an established name in the welding community world wide since 1948. As both producer and wholesaler, De Vlamboog supplies welding ancillaries and personal protective equipment to resellers in over 40 countries. De Vlamboog is renown within the welding community for its high quality electrode holders, welding cable connectors and gouging torches. Another acclaimed Vlamboog product is the MultiVision welding helmet. Under the Weldsafe brand Vlamboog also distributes a wide range of other welding ancillaries. Next to these Vlamboog branded products, Vlamboog is the supplier of choice for many of the leading A-brands in welding. As an established name in the welding community, we make it our business to support your business. We continuously strive to support our customers, resellers and end-customers, as best we can through our complete portfolio of quality products, our experienced customer support, our regular new product development and our reliable logistics. At De Vlamboog we put our customers first.